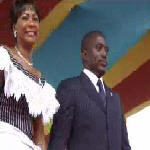 Joseph Kabila won Congo's first democratic presidential elections in decades, but now the 35-year-old former guerrilla leader faces the daunting task of rebuilding from scratch a country almost the size of western Europe. 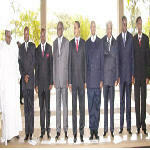 With the signing of the Nairobi pact on Friday December 15 2006 by DRC, Angola, Burundi, Central African Republic, Republic of Congo, Kenya, Rwanda, Sudan, Tanzania, Uganda and Zambia, it paves the way for security, stability and development in the region, after years of conflict. 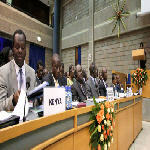 Culminating a two-day summit meeting at the United Nations Office at Nairobi, African leaders from eleven countries today signed a Pact on Security, Stability and Development in the Great Lakes region which Secretary-General Kofi Annan has praised for its potential to consolidate peace in a region that has seen some of the world’s deadliest conflicts. 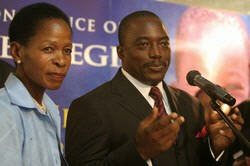 As the Democratic Republic of Congo President Joseph Kabila begins his first democratically elected presidential term, he faces the challenge of radical reform in the mining sector, which has been marked by decades of corruption and mismanagement. 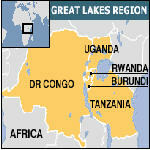 The humanitarian crises precipitated by numerous civil wars in Africa's Great Lakes region can best be mitigated by consolidating peace and political stability to promote development, leaders at a summit in Nairobi said on Thursday. "We need to consolidate the delicate equation of peace and security, and begin to direct our energies towards reconstruction and development," Kenya's President Mwai Kibaki, the incoming Chairman of the International Conference on the Great Lakes Region, said. 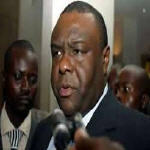 Jean-Pierre Bemba has submitted papers in a bid to run for a senate seat for the city of Kinshasa. 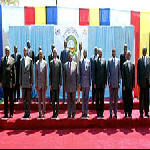 An international conference aimed at enhancing peace, security and development in Africa's Great Lakes Region is under way in Nairobi, with delegates expressing optimism that the elections in the Democratic Republic of Congo heralded an era of stability in the volatile region. 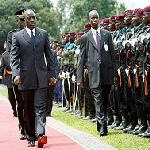 When preparations for the international conference on peace, security, democracy and development in the Great Lakes region began in 2003, United Nations and African Union (AU) officials were at pains to explain that this was a process, not just a meeting, that would take years to achieve. Four years later, the last of two state summits in this process is scheduled for 14-15 December in Nairobi, the Kenyan capital. 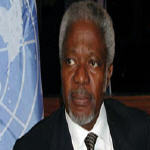 United Nations Secretary-General Kofi Annan today stressed the need for all Congolese to work together as he congratulated Joseph Kabila on his inauguration as President of the Democratic Republic of the Congo (DRC) following the recent elections, the first democratic polls in the strife-torn country in more than 40 years.